A new year brings with it lots of excitement, but also a lot of uncertainty. 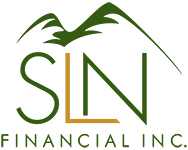 As a family, are you taking to necessary steps to set achievable, realistic financial goals for 2018 that will help remove any uncertainty from your personal financial space. Here are a few tips to consider in the new year to help you prosper. Although not the most riveting family activity, establishing a budget that helps you understand your monthly cash flow and discretionary income. How much “discretionary” income you have (any “leftover” money after bills, mortgages, etc.) determines how much you can safely spend, and also gives you an idea of what you can save, too. With Americans changing jobs more often than before, many have multiple retirement accounts with overlapping investments. Start off 2018 right by consolidating all your retirement accounts. After consolidation, changes will be easier to make; plus you will get a better idea of your overall assets and can track their performance with ease. Make sure to review all your investment accounts, track your changes, and talk to your financial advisor about any goals or concerns you may have with your investments. Don’t be afraid to start taking steps now to get greater returns with less risk. It’s understandable to not enjoy thinking about your own death, but it’s even worse to leave your family in limbo if something was to happen. Be sure to write up important information, like who will take custody of your children, who will inherit your property and wealth; and also, who will make important decisions if you become unable to do so. Any comments regarding safe and secure investments and guaranteed income streams refer only to fixed insurance products offered by this firm. They do not refer in any way securities or investment advisory products. Fixed insurance and annuity product guarantees are subject to the claims paying ability of the issuing company.